The latest version of the iOS 12 developer beta (release 5) has allowed for some interesting discoveries that support existing rumors and raise some new ones. While Android handsets are typically rather generous in offering a dedicated slot for a second SIM card, this feature has been notably absent from Apple’s handsets over the last 10 years. 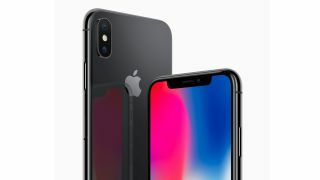 However, rumors have been growing that one of the upcoming iPhone models will support dual SIM functionality, and these rumors have been strongly buffed by some lines of code that 9to5Mac has found in the iOS 12 developer beta 5. The report has identified some lines of diagnostic text that specifically reference “secondSimStatus”, “secondSimTrayStatus”, and “isDualSimDevice” – all of which seem to suggest that dual SIM cards will be supported at the software level at the very least. And considering the mention of a “tray”, there’s also likely to be the hardware to match. A second SIM card slot may not be useful to everyone, but for those who like to switch between two different plans within their home country, or regularly travel abroad to regions with different networks, it’s an indispensable tool. The second slot allows you to make the switch over to another plan via a menu option in settings rather than having to physically exchange SIM cards and risk losing the tiny sliver of plastic and copper. Another fresh theory floating around the rumor-mill is specifically in regards to the reported iPhone XI Plus with its 6.5-inch OLED display, and it suggests that the mega-screened device may inherit one of the iPad’s neater features. On the iPad, Apple apps such as Calendar, Mail, and Contacts offer a landscape view that makes much better use of the additional screen real estate. For instance, when using Mail, your inbox appears as a list on the left-hand side with a preview of each email on the right. According to iHelpBR, the iPhone XI Plus will have a 6.5-inch display with a resolution of 1,242 x 2,688, and from their testing with the aforementioned iOS 12 developer beta 5, they noticed this iPad-style feature activated when running at this resolution and size.